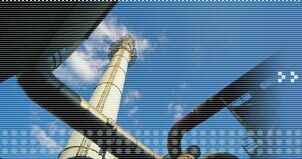 CWB Tech has several years of experience in development of petrochemical processes. With our unique expertise in process design and development, we have successfully handled many grassroots design, debottlenecking, and retrofitting projects. Our experience of industrial processes spans a wide range, including manufacture of basic products of industrial synthesis such as Syn-gas, Methanol and Ethylene, all the way to C4 derivatives, aromatics, and more. Success of all our projects is driven by the comprehensive understanding of the underlying phenomena and interactions that govern the process. Objective: Achieve your process development objective with minimum time and cost. Value Added: Lower R&D costs. Objective: Design the best (multiphase) reactor combining experimental work, synthesis, analysis, and scaleup. Value Added: Better reactor and reactive separations performance. Objective: Design thermodynamically optimal processes. Value Added: Understand the thermodynamic efficiency of your plant, identify bottlenecks, and lower energy consumption. Objective: To understand the interaction of energy usage within the manufacturing site. Value Added: Maximize the profit of a site in consideration of both energy and material manufacturing. Learn more about our services. Please contact us to find out how to proceed with a particular project or process development problem. © 2003-2018 CWB Technology, Inc. All Rights Reserved.